Email signature software is used by businesses of all sizes to enhance their brand and marketing programs. These applications are used to optimize and manage the creation, curation, distribution, monitoring, and standardization of email signatures. Email signatures can contain written content, company font, and images. Email signature marketing products help to plan, track, and manage emails sent by individuals, encouraging increased response rates, interaction, and engagement. Companies use email signature software to improve their content marketing strategy by presenting information in targeted ways that engage email recipients. Customizing email signatures is an increasing trend used by marketing or other customer-facing departments toward groups such as prospects, customers, distributors, and resellers. These solutions can help businesses resolve brand consistency issues, while still allowing for a bit of personalization. Email signature marketing software is most often used on top of standard email applications as well as many popular CRM applications. Email Signature reviews by real, verified users. Find unbiased ratings on user satisfaction, features, and price based on the most reviews available anywhere. Exclaimer is a leader in on-premises and cloud-based email signature software and solutions for Office 365, Microsoft Exchange and Outlook. More than 2,000 companies choose WiseStamp to brand and centrally manage all their employees' email signatures. With the average employee sending more than 20 emails a day, you should leverage email signatures to grow your businesses with every mail your marketing, sales and customer success teams send! WiseStamp works flawlessly on all email platforms: G suite, Office and Apple Mail - no coding needed. Xink is the preferred platform for email signature management by thousands of companies around the world. The intuitive browser-based platform is perfect for G Suite, Office 365 and Apple Mail users to centrally manage company email signatures across devices. Sync your email signatures with your employee database and ensure consistent, branded impressions in every email. Use Xink to unlock the true potential of the thousands of emails sent every single day. Use the company email signatures as a marketing channel to attract leads and drive traffic to your website. Track all campaigns, clicks, and openings with our advanced analytics tool. Xink seamlessly integrates with your favorite online SaaS solutions such as Salesforce, Zendesk, Campaign Monitor etc. It does not require any technical skills to use Xink. Usually, signatures are managed by a company's marketing or communications department to make sure that all employee signatures are perfectly branded and updated. BrandMyMail provides a Gmail signature automatically inserted in your email to create custom templates based on signatures and social media. Email Signature Manager is a multi-award-winning solution designed to centrally manage email signatures, email disclaimers and email campaigns on Office 365 and Exchange server. With the Exchange disclaimers software Exclaimer Mail Disclaimers, you can create a disclaimer template made from images, text and dynamic fields, which will be automatically completed for each user and added to their email as it's processed by Exchange. htmlsig's email signature generator allows you to effortlessly create signatures to use with your email accounts. Allows you to centrally manage all of the employees e-mail signatures in Gsuite. 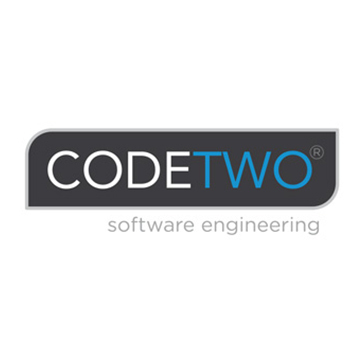 CodeTwo Exchange Rules is an Exchange signature manager a Microsoft Exchange Server add-on designed to help server administrators centralize the management of email signatures and disclaimers on MS Exchange. It will help you quickly set up professional signatures for all employees in your company, without configuring anything on their computers or mobile devices. Email Signature Rescue is a beautiful HTML email signatures that work with all your favorite email programs including:Gmail,Apple Mail,iPad/iPhone, Outlook 2007 / 2010 / 2013 / 2016,Thunderbird,Yahoo Mail,Windows Live Mail,Outlook Mac,Salesforce,Postbox,Airmail,Sparrow,Mailbox OSX,Mailbird and much more. Rocketseed is the first-choice email signature management software for both marketers and IT professionals across the globe. Our professional email signatures, targeted interactive email banner campaigns and personalised legal disclaimers, transform every one-to-one email your business sends, into a branded, engaging and compliant marketing channel. Simple to set up and super secure, Rocketseed is optimised for all major email platforms, including Microsoft Office 365, Exchange and GSuite, ensuring perfect display on every device every time. Unique and custom design creates extra impact. Centralised control guarantees consistency. Advanced segmentation and targeting rules ensure your campaign message reaches the right customer at the right time. Rocketseed also captures every click, where our industry-leading analytics and client support services truly set us apart. Handling over a billion emails a year for clients including Chelsea FC, Dell, The Ritz and Clarins, Rocketseed drives real results. Businesses worldwide - large and small - achieve higher click-through, conversion and ROI with Rocketseed. Founded in 2002, Rocketseed is headquartered in London with sales offices in Johannesburg, London and New York. To transform your email, contact Rocketseed today. sigbop is a cutting-edge e-mail signature tool that converts a static, text-based e-mail signature into a dynamic, visual branding statement. AirSign is an online tool to create modern and effective email signatures. Black Pearl Mail transforms your company email into your largest digital channel with automated email branding, signatures, promotions, awards, videos and more! Brand and Sign, an Email Signature and Branding , manages your email signatures and banners in one place. Bybrand is an e-mail signatures generator that engages collaborators in marketing. It allows to advertise promotions, events or a job vacancy in email signature, create standard signatures, no form to fill, responsible templates, team resources and actual tests by email. CI-Sign is a solution for client-side e-mail signatures. It provides consistent and CI-compliant email signatures across the enterprise. Looking for a powerful tool that allows you to add consistent and compliant signatures, disclaimers and branding to every email leaving your company? Our award-winning tool, Crossware Mail Signature (for Office 365, Exchange and IBM Domino) is the solution for you. Sleek, compliant and personalised signatures are automatically added to each email, no matter what device you're sending from. Creating your perfect signature is easy with a simple drag-and-drop visual editor or get a little more technical and switch to creating your signature in HTML with our source code editor. Our signature tool is constantly being developed with the goal of ensuring signatures are dynamic and intelligent. This means context sensitive and customised for your company's unique requirements. You can create and apply rules that control when, where and how your signatures are applied with our simple rule builder. Quickly create rules for the application of signatures or signature blocks (a smaller part of your signature) based on Active Directory fields, recipient addresses, dates and more. If you need a highly custom or complex rule, you can also write rules in C#. Crossware Mail Signature lets you control of who can edit each signature or signature block, e.g. you can choose to only allow the marketing team to edit the ad banner section, and the legal team to edit the legal disclaimer keeping your signature safe from unsolicited changes. Crossware Mail Signature is built from the ground up to be highly secure. We don't store or copy your emails and process them securely within Microsoft Azure Datacenters. For added security, you can also specify the Microsoft Datacenter of your choice when setting up Crossware Mail Signature. Features: - Add logos, graphics, ad banners, social media icons, Active Directory fields, disclaimers and text to your email headers and footers. - Apply your signatures when, where and how you want with powerful rules. - Signatures on every device and email client. - Control every part of your signature, with separately controlled blocks. - Visual / HTML code editor - Preview signatures in real time, based on recipients and senders. - View signatures within Outlook & see your signatures in Sent Items. - Intelligent and dynamic signature application - Choose your Microsoft Datacenter to deploy into - Edit anywhere, anytime with our browser-based editor Find out what makes us the world leading signature solution - start your Free Trial now! Helps brands across the globe create and implement effective email signature programs. Signaturia is a cloud-based application built for marketers to use employee email signatures as a new marketing channel. Setup is simple and instantly appends campaigns to the signatures of every employee in your company. Central administration of mail signatures directly via our website. Prevents the uncontrolled growth of signatures. Gimmio is an email signature generator which provides the most flexible features on the market. You can customize your email signature in any way you want. With plenty of templates to choose from, you can really make a unique email signature that will help grow your business. Advanced Email Signature and Disclaimer is an email signature software that allows the user to set up professional email signatures quickly and easily. Using sigbop, build a corporate identity into a email signature. Choose a custom signature template, select a set of social media icons, upload photos or logos and create the signature! Xink Brand is a browser-based platform to centrally manage corporate email signatures in Outlook (Win/Mac), Outlook (browser), Mail (Mac), Office 365, Exchange on premises, and Gmail (G Suite). Xink Brand has a user-friendly interface that makes it quick and easy to create, manage, and upload signatures for all employees. ZippySig is an email signature generator that gives users flexibility and creates professional branded email signatures. Hi there! Can I help you find the best Email Signature solutions?